Monolith Entertainment and Warner Bros. have let another trailer on loose for: Middle-earth: Shadow of War, showing us even more of the game as the launch nears and this time introducing us to the orcs of the ‘Marauder Tribe’. The orcs of the Marauder Tribe are adorned in full gold and ooze style, all the while looking just as fearsome as the other tribes such as ‘Machine Tribe‘. Middle-earth: Shadow of War Coming Soon! 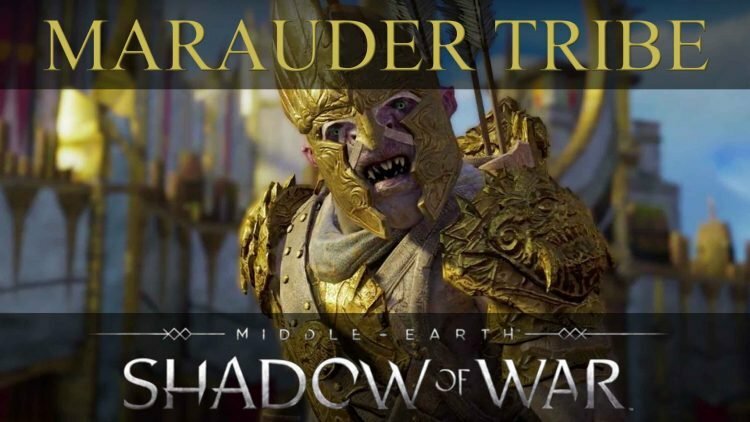 In the new trailer below we get a good look at the Marauder Tribe, one of the may orc factions within the game, where the protagonist: Talion will meet on his new journey. Middle-earth: Shadow of War will be released on the PS4, Xbox One, and PC on October 10. If you’d like to see some of the indigenous species of Modor, check out Monsters of Modor! If you haven’t already, catch up on Middle-earth: Shadow of War news such as an eventful end game mode with Sauron on your back, the controversy surrounding the addition of microtransactions and a smartphone gaming app! You can also get a tour of Cirith Ungol region, famously known for when Frodo and Sam were led by Gollum into a cave where Shelob, the Great Spider resides.